Welcome! Thank you for visiting our web site. Marlene's Little Birch Salon is a beautifully modern, full service hair salon located on North Main Street in charming downtown Birchwood. Our Salon features highly trained, cutting-edge professionals in a clean, friendly atmosphere. We specialize in precision cuts and stunning color services and use only top quality professional brand products. We have a commitment to maintaining the highest standards. It's what our business is built on. We ensure a degree of excellence that is unlike any other salon. 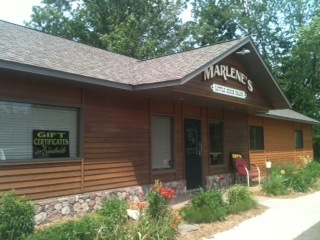 At Marlene's, we provide to our local community and we lead our business with one philosophy, our team…our family. WE PROMISE to do our utmost to make you feel warm, comfortable, and welcome. To serve you with friendly professional staff in a clean and pleasant atmosphere. WE PROMISE to listen to you before we do anything to your hair, we want to know how you like your hair to look. WE PROMISE to give you tips and showing the most updated techniques, products and services, so you can manage and maintain your hairstyle at home.